This program was completed on Monday March 28, 2016. Mahalo nui loa to all our contributors who made this happen for these lucky Cambodian kids! The Kids Learned to play and then we left the ukes wth them! The kids were SO HAPPY! Please help the Beamer ʻohana (family) bring ʻukuleles and hands-on music and dance instruction to impoverished children in rural Cambodia through a donation to our (program has ended / link removed) before mid-February, 2016. In cooperation with Mohala Hou Foundation in Hawaiʻi and The Ponheary Ly Foundation in Cambodia, this campaign seeks funding to purchase musical instruments, develop instructional materials, and organize and present a series of music and dance lessons for at least 40 Cambodian children. In Cambodia, children in rural villages face an uphill battle against poverty and limited access to education when compared to children in urban areas. Many impoverished children in rural Cambodia don’t have access to money to buy uniforms and their school supplies in order to attend primary school. The Ponheary Ly Foundation (PLF) provides children who would not otherwise be attending school with these essentials. Once all the children from a village are present at their school and properly equipped, the PLF supports the school sufficiently to provide a quality of education that is equal to that which is accessible in the urban communities. Mohala Hou Foundation (MHF) is a non-profit organization that presents Aloha Music Camp (AMC) and other educational and cultural programs to foster understanding and perpetuation of Hawaiian culture. Through AMC, the Beamer ʻohana and other Hawaiian kumu (teachers) have provided teaching and cultural context in ʻukulele, guitar hula, ʻōlelo (language), oli (chant), and traditional Hawaiian crafts to thousands of participants of all ages over the years. The expertise of MHF in developing and presenting cultural enrichment programs ensures the Cambodian children will receive the highest quality of instruction that is responsive to their needs and interests. Our goal is to provide Cambodian kids with a way to enrich their lives and communities through the power of music and dance. Children will learn to better understand the essential connection of music and dance in other cultures, then begin to assimilate these ideas and instruments into their own culture. To begin this process, our instructors will teach the children Cambodian songs in their own language. By learning to play their own songs on their own instruments, then taking these instruments home to their villages, the warmth, joy, and aloha of music will begin to spread and uplift the lives and hearts of their extended families. It's important to realize that many communities in Cambodia are without any modern conveniences and are often comprised of downtrodden and disadvantaged people. Your gift of education and music will make a big difference in the happiness and fulfillment of the lives of these Cambodian families. In addition to the instruction and the educational materials we will deliver to the children, the educational experience we provide will foster cross-cultural understanding and deeper bonds between our countries, teachers and students. While learning to play the ʻukulele need not be difficult, it certainly helps to have world-class instructors. While several of our instructors are best known as guitar players, they are also accomplished ʻukulele players--in fact, for some it was the ʻukulele that first introduced them to playing music during their childhood, long before they even picked up a guitar! Keola Beamer is one of Hawai'i's premier singer/songwriters, arrangers, composers and master of the Hawaiian slack key guitar. His well of talent springs from five generations of Hawaiʻi's most illustrious and beloved musical families. 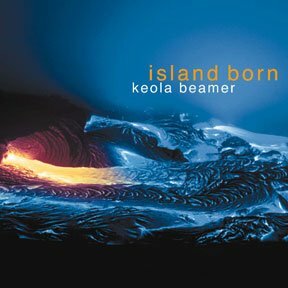 Keola's mother was revered Hawaiian cultural treasure, Aunty Nona Beamer. 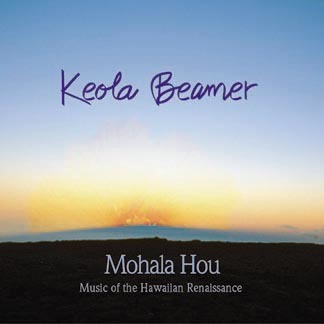 His great-grandmother was one of Hawaiʻi's most illustrious composers, Helen Desha Beamer. The Beamers trace their roots to the 14th century and have been cultural practitioners through generations. Moanalani Beamer is a kumu hula (hula master) who began her hula training in 1960 at the age of four with Kumu Hula, Johnny Hokoana. In her early years, she continued training extensively with several different kumu in Hawaiʻi. Through the years Moana has accumulated valuable teaching experience in the art of the hula. Her sensitive nature combines her understanding of the technique with the spiritual and philosophical currents expressed in the hula. Moana remains firmly committed to sharing her cultural knowledge worldwide. Jeff Peterson is recognized as one of Hawaiʻi’s most versatile musicians. 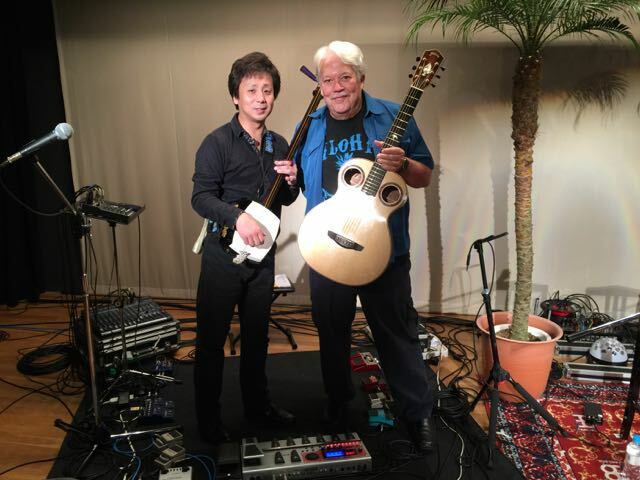 His passion for the guitar has allowed him to shine as a solo artist and has given him the opportunity to collaborate with a wide variety of artists from Hawaiʻi, across the US, and abroad. He has contributed to two Grammy Award-winning recordings and has been honored with four Nā Hōkū Hanohano Awards in Hawaiʻi. 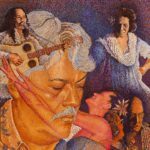 Born on the island of Maui, Jeff Peterson grew up on the slopes of Haleakalā where he was introduced to the rich heritage of Hawaiian music by his father, a paniolo, or Hawaiian cowboy, on the Haleakalā Ranch. Cindy Shenk has been playing the ʻukulele for many years. She is a member of Walter Kawaiʻaeʻa's ʻukulele group, accenting the Kahauanu Lake style. She plays at Pukalani Country Club with Honey Bun and the Coconuts on the island of Maui. Cindy brings a deep understanding of the instrument with a strong focus on early education. Cindy has developed a gentle teaching style which will add immeasurably to this project. In addition to teaching, she will help document workshops and performances in Cambodia as the students progress with their lessons. Tom Lunneberg has been a student of Keola Beamer for more than ten years, studying slack key guitar and deepening his understand of Hawaiian culture though participation in Aloha Music Camp. He has released two albums of original instrumental works, and has been an Artist Advocate for Guitars in the Classroom since 2008. Tom is the current President of Mohala Hou Foundation. Our budget of $25,000 will provide instructional materials for at least 40 children, including their very own ʻukulele, tuner, and printed copies of the lessons. The budget provides for organizing and presenting the educational sessions at a facility in Cambodia. The budget also defrays travel costs for the volunteer team of instructors. Depending on final costs for purchasing the instruments and shipping them to Cambodia, we hope to reach more than 40 students within our budget. We want to reach as many students as possible and to provide them with quality, personalized instruction. In the event that we do not reach our full funding goal, we will scale our approach accordingly to maximize its impact with the available budget. To thank you for your generosity, contributions of $25 or more will receive (via e-mail) a signed digital photo of the students and instructors that will be taken during the lessons. Contributions of $100 or more will receive (by mail) a printed photo of the students and instructors, signed by Keola Beamer. The Ponheary Ly Foundation is a registered 501(c)3 non-profit organization in the USA. Their goal is to locate and serve the many children in Cambodia who live in the poorest rural villages and do not have access to equitable educational opportunities. The Mohala Hou Foundation was established as a 501(c)3 non-profit organization in September 2007 to support and promote the teaching and sharing of Hawaiian music, dance, language, and culture. The name Mohala Hou (meaning “to blossom anew”) conveys what we believe is essential for the Hawaiian culture: renewal, growth, and revitalization. We believe that the perpetuation of "the aloha spirit" and many of Hawaiʻi's other traditional ideas and areas of knowledge is vital to maintain the cultural diversity so necessary to the world today. 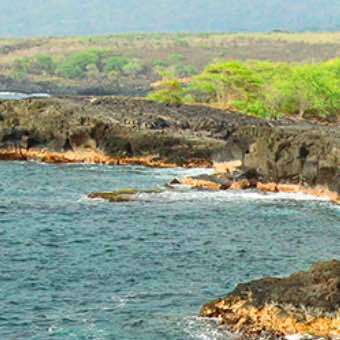 We feel it is our kuleana (responsibility) to bring people together, both from Hawaiʻi locally and from the world at large, to allow for cultural enrichment by education in Hawaiian arts and traditional knowledge. Recently I recalled that my first experience of making music came from learning to play the pahu (drum) and then the ‘ukulele when I was about 5 years old. I was taught by my sweet mom, Nona Beamer, and my grandmother, Louise Beamer. They were both wonderfully encouraging teachers and I learned so much! It was so much fun to form my fingers around the chords. The small fret board of the ‘ukulele fit my little fingers and I could “cha-lang-a’-lang” the dickens out of that thing! The ‘ukulele eventually led me to a world of music, a world that called wonderful experiences into my life. This is what music does in our world. It brings human beings together. It expresses our feelings, celebrates our lives and brings our families and friends closer together. After a recent visit to Cambodia, I returned to Maui with a heavy heart. The villagers in Cambodia were so disadvantaged it was truly heart-wrenching. Those kids had so little. In my mind, I compared their early childhoods to my brother and myself. We were poor too, but not THAT poor and we never experienced the depressive “feeling” of poverty that those kids faced everyday. I think that part of the reason we Beamers never noticed our own lack of resources was because we had music. We had our ‘ukulele. Right in our own hands. It was uplifting in our lives. It was magic. So, right then and there as I reflected on this, I came up with the idea of introducing ‘ukuleles into Cambodian villages. Together with some of Hawaiʻi’s most gifted kumu (teachers) who would volunteer their services, we could bring 40 ‘ukulele to children in Cambodia. We found a reliable school to partner with, a venue that could provide lesson / learning space and a way to arrange bus transportation to bring the kids from their remote villages to our classes in Siem Reap. Working with our Cambodian partners, we would teach as we were taught, with aloha. We discovered a fun native (Cambodian!) song to teach them, as they learn basic chords on their ‘ukulele. We would work to provide a musical foundation to grow upon. Future happiness. Future fun! In two days, the kids would be playing their own ‘ukulele. And guess what? At the end of our classes, the kids get to take their ‘ukulele home! To play for their families. To play for their friends. In itself …. that simple, transcendent act carries the gift of aloha. The incredible journey of music. I believe that this would light up many lives. 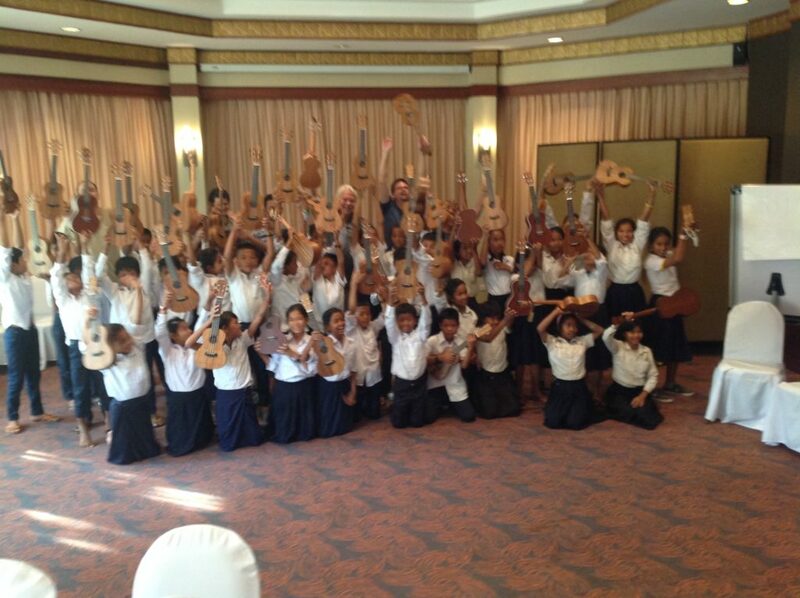 I believe that the gift of these ‘ukulele will strengthen and uplift their families. Please join us if you can. Give the gift of music to impoverished children in Cambodia. Even if you can't make a financial contribution to our campaign, we will greatly appreciate if you can spread the word about what we are trying to accomplish through social media and other channels!